Click here to access the video of the lecture. 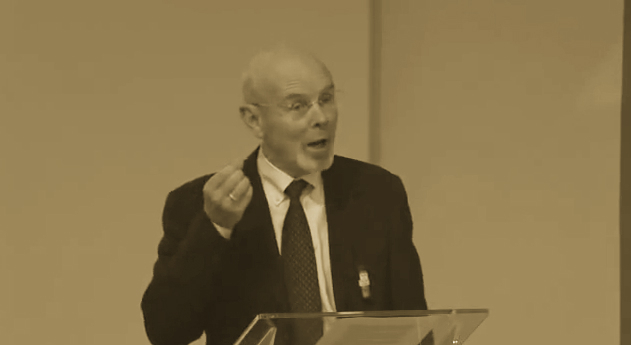 In the 2012 Inaugural Quain Lecture, philosopher Philip Pettit spoke on the importance of considering the question of legitimacy — i.e., of just how acceptable the imposing of the social order is — as a distinct from that of justice — i.e., of just how objectionable is the content and form of the legal order itself. He suggests that the distinction between both questions relies on what each one “hangs” on for an acceptable answer: e.g., what makes the law unobjectionable may be “content dependent” reasons or “content independent” ones while for what makes the imposing of an order legitimate may be whether there is a reason for accepting the social order itself — whether you are willing to work within the system to change it. The legitimacy of a regime or social order produces a political obligation and thus a duty that the contestation of laws and so forth will occur within the system (e.g., courts, elections) while a different obligation is produced by the content dependent or independent reasons that can be given for obeying a law, that of a legal obligation or not. Here Professor Pettit argues that within a republican way of thinking one sees the primary problem as that of legitimacy — i.e., of thinking about how a social order imposed can affect individual liberty — rather than what Professor Pettit calls the “second best problem” with legitimacy, one that is characteristic of other approaches that cannot find a way to reconcile coercion of an imposed social order with individual liberty. The lecture is an attempt to show, that in a republican way of thinking, the question of legitimacy is in an important sense a primary good that is not only distinct justice but also one that is not intractable problem as in other approaches. The argument is that if we look at the Roman tradition of republicanism you see the beginnings of not only the politicization of freedom but also how it can be jeopardized through certain types of government or partnerships, in particular those that insert into the community or partnership an uneven relationship that gives not only some an arbitrary power over the conditions and choices of others but also an inability to shield one’s self from arbitrary power and wills. Professor Pettit explains that the republican conception of freedom is often referred to as a freedom of choice — what distinguishes a slave from a master, even a benevolent one, is that a slave subject to the presence of the power of the master to arbitrarily take away the slaves choice is unfree because of his/her dependence on the goodwill of the master; the presence and built-in arbitrary power alone is sufficient to render someone a slave in this sense — we cannot say even without interference that we are free. Freedom is the ability to make a choice independent from the will of anyone else. The ability to penalize an option or to take away my independence without actual interference makes me unfree. According to this way of thinking, the legitimacy of a social order is whether it grants protections that make persons actual free persons — whether the social order is not one imposed by an alien will but one where persons share a “free status”. The existence of this freedom will of course be sensitive and expressed in terms of local customs and culture which will vary. However, the coercive nature of the social order is squared with individual freedom because it ensures its status rather than take it away. The social order will, from this perspective, lack legitimacy if its exercise of discretionary powers are imposed on those that cannot affect its control on their lives.